For a number of reasons (that require no explanation) I have had practically no involvement with the Lugansk People’s Republic (LPR) for over a year. I did my best to transfer the majority of our volunteers to the military units of the Donetsk People’s Republic (DPR) back in 2015. Most of my civilian acquaintances from Russia have also elected to continue their work in Donetsk, rather than stay in Lugansk. As a consequence, I do my best not to interfere with the local Lugansk affairs and very rarely offer my commentary on the processes taking place in the LPR. I have formed an overall opinion of the situation in the LPR, and I have voiced it on more than one occasion. As for the allegations regarding the planning of a coup, I have substantial reasons to doubt the official storyline. From what I can gather, the current repressions and assassinations taking place in Lugansk are a continuation of the never-ending personal and commercially driven infighting between the former and the incumbent political and military leadership that has been simmering since 2014. In other words, the recent events have roots in the fears and suspicions of the current Lugansk leadership, as well as in the aspiration to establish in the LPR a vertical chain of command at the political and at the economic level. In reality, no one is foolish enough to organize a coup in the LPR, even if certain individuals have now been officially labelled as suspects. The reason why is rather simple: the people who are currently being investigated understand very well that the only way to secure power in the LPR is in back-rooms of Moscow, rather than through an armed uprising. Even if someone were to succeed in removing the current Moscow appointees, and take their offices, these people would be immediately replaced with new figureheads, under direct and complete Russian control. Despite the very brutal methods of “establishing order” in the LPR (whereas in Donetsk problems are often resolved with little more than a private “consultation”, in Lugansk assassinations are the rule), the past two years have failed to yield an established vertical chain of command, and the ruling elites are driven by near-total suspicion and mistrust toward each other. It got to the point that the head of the LPR, Igor Plotnitsky, had to ask the DPR for assistance (with Zakharchenko sending the Sparta Battalion as reinforcements), because he was not convinced that the interests of the group in power could be protected by his own security forces. While fighting and artillery exchanges along the line of contact between the belligerents continue on a daily basis, compared to the clashes in August and September, they have been brought down to a minimum. The reduction of violence is linked to the steps taken by Russia in the middle of September. The September 15 unilateral ceasefire on the part of the LPR and the DPR, announced at Russia’s initiative, was meant to put pressure on the Kiev junta, with Russia making it clear that if the Ukrainian Army continued its high-intensity military actions at the front line, the Militia would be given carte blanche to respond with full force, just as in the winter of 2015. 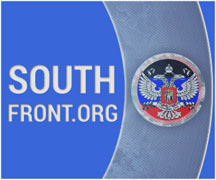 In fact, Zakharchenko warned that, in the event of an escalation, “an order authorizing the commencement of full-scale military operations would immediately follow.” While not entirely, the strategy worked to a large extent, helping to reduce the shelling and the provocations to a substantial degree. All the same, there isn’t a single person in the DPR who believes that this relative calm will continue for long. Tensions between Russia and Ukraine will once again settle (in fact, they have already decreased), everyone will forget about Zakharchenko’s threat of immediate military action, and the Ukrainian Army will, as before, resume ramping up their provocations and artillery attacks—until yet another round of menacing declarations and Minsk negotiations continues the spiral. Judging by the mood prevailing among the civilians and in the DPR military, the current period is the most depressive since the beginning of this year. This fall, even the biggest sceptics expressed very high expectations and hopes that the situation would soon improve. But, once again, these expectations did not pan out, and many have started simply to give up. Although we all understand that this insanity may continue for a long time still, we also know that it cannot continue endlessly. The moment of truth will come sooner or later. Either Russia and the Donbass Republics or the West and Ukraine will eventually have to mount an offensive or make major concessions to the other side. That is when the fate of Ukraine, the LPR and the DPR, and of those of us who have tied our lives to Novorossiya, will be decided. All that is required of us is to never, under any circumstances, concede to the apparent defeat of our ideas and goals, to find the fortitude and the means to persevere and to outlast this period of crushing stagnation. Victory belongs not to the strongest, but to those who can endure the longest. We have to out-wait and outlive this time of troubles, however long and endless it may seem. Everything has a beginning and an end. These times, too, will some day come to an end. If one is a believer in local autonomy, this would be a chance to establish a model of a socialist society, with ingredients of direct democracy (local committees), extensive privatization, gender equality, and a special focus on education. Rojava is another experiment in this direction, they have a vision. Aleksey Mozgovoy had a vision. Do the current leaders of DPR and LPR have a vision? The bourgeois in Moscow would not like that, but maybe also not care and continue support for Novorussia. The USA also continues support for their “marxist” friends of the Kurdish PYD, shielding them against Turkey. Please forget about “a model of a socialist society” and the “bourgeois in Moscow”, rather reflect on the effectiveness of fiat in expropriating surplus regardless of whether the system is “socialist” (that is state capitalism) or “capitalist” (that is corporate capitalism). Tweedledee and Tweedledum have been pretending to be essentially different for too long: stop dictating that Razoos must be used as the means of exchange and they will more quickly deflate to their true value (that of the Brass Razoo). As with heroin, fiat is a quick fix – get over it. Novorossiya is surrounded by oligarchical systems controlling capital – on one side by a complete failure (Banderastan) and on the other by the Russian Federation. Novorossiya will need to control the operations of oligarchs relating to its territory; the largest enterprises require substantial state ownership. The hardest thing to control, however, will be the desire to cheat – to use fiat and steal from the pensioners and savers, to create a bank which then creates currency out of thin air – with the resulting fiscal indiscipline eventually compromising the existence of the state. The only bank you should have is one which can supply real items – gold, silver, bricks, mortar, timber etc., which cannot, due to their proper specification, be “lent” to more than one person at the same time: banks can not print gold.